DAY OF THE DEAD (1985). 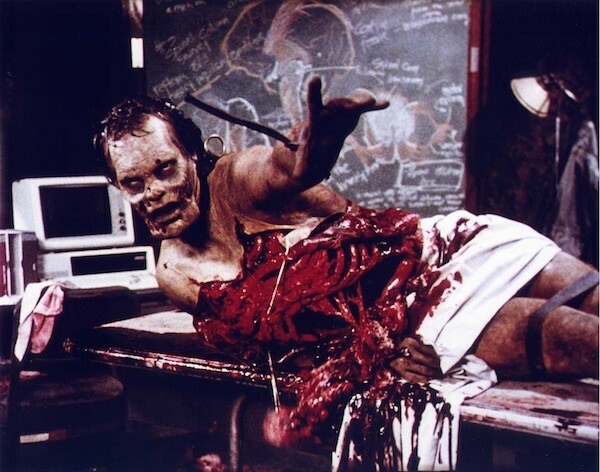 George Romero's 1968 Night of the Living Dead has long been considered a classic, as has its 1978 sequel Dawn of the Dead. As for this third installment — well, it's considered anything but a classic, yet it's slowly gaining a better reputation than the middling one it received upon its original release, when it quickly became apparent that this was the runt of its particular cinematic litter. Set in an underground military bunker, this finds a group of scientists, intent on studying the zombies in the hopes of finding a cure, engaged in a mental tug-of-war with the trigger-happy soldiers who would be just as content wiping out everybody (scientists and zombies alike) who vexes them. Largely missing is the primal horror of the first film and the sharp satire of the second, yet what remains isn't bad at all, with some of Romero's interesting ideas and Tom Savini's gory effects triumphing over some amateurish acting (major exception: Howard Sherman, who's effective, even touching, as Bub the domesticated zombie). Interestingly, this movie basically shares the same philosophy as 2002's considerably more acclaimed zombie flick 28 Days Later: A flesh-eating monster may be nobody's idea of a desirable companion, but he's no worse than a spirit-sapping military man. Romero would of course return to the genre 20 years later to helm more Dead flicks (Land, Diary and Survival), but the original trilogy is the one that belongs in every buff's home collection. 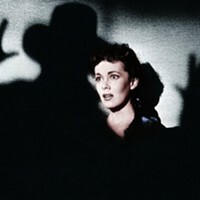 Blu-ray extras include audio commentary by Romero, Savini, production designer Cletus Anderson and lead actress Lori Cardille; separate audio commentary by filmmaker Roger Avary (Oscar-winning co-scripter of Pulp Fiction); the new documentary World's End: The Legacy of Day of the Dead; behind-the-scenes footage from Savini's archives; photo galleries; and theatrical trailers. THE DEVIL BAT (1940). One of the most recognizable of Bela Lugosi's post-Dracula and pre-Ed Wood cheapies that the actor made even as his career had already begun its precipitous plunge, this finds him cast as Dr. Caruthers, believed by everyone in his small town to be a kindly scientist and, more importantly, a doctor who makes house calls. In truth, Caruthers is a madman seeking revenge against the families of the two men he believes cheated him out of the fortune they accumulated from his experiments. To this end, he uses electrical charges to turn a regular bat into an oversized monster that kills anyone who's wearing Caruthers' own specially concocted after-shave lotion (one that I imagine smells like Stetson's Tom Brady fragrance). None of the locals can figure out exactly what's going on, so it's up to big-city reporter Johnny Layton (Dave O'Brien), with dim-witted photographer "One-Shot" McGuire (Donald Kerr) in tow, to show up, solve the mystery and save the day. There's very little to recommend this routine programmer, although it kills 68 minutes efficiently enough; if nothing else, the film does offer the enviable opportunity to hear Lugosi bellow to one of his inferiors, "Imbecile! Bombastic ignoramus!" Incidentally, eagle-eyed viewers might recognize O'Brien as the same actor who played Ralph, the pothead whose addiction lands him in an insane asylum for life in the 1936 camp classic Reefer Madness. It should be noted, though, that O'Brien's talents extended far beyond merely acting in low-budget efforts: At various points, he was also a director, singer, songwriter, stuntman and Emmy Award-winning writer of The Red Skelton Hour. Blu-ray extras consist of audio commentary by film historian Richard Harland Smith and a photo gallery. DRACULA: PRINCE OF DARKNESS (1966). 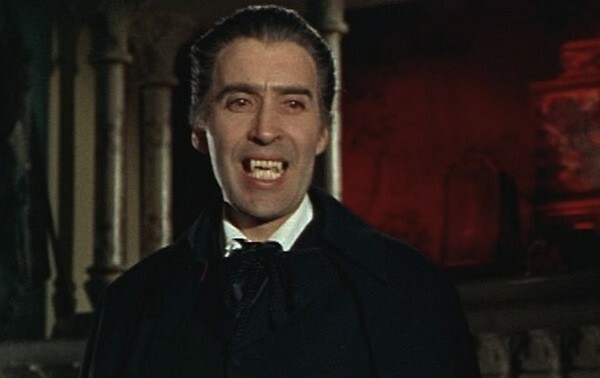 The one-two punch of 1957's The Curse of Frankenstein and 1958's Horror of Dracula allowed Britain's Hammer Films to find its niche as a supplier of atmospheric horror flicks as well as turned both movies' lead actors, Peter Cushing and Christopher Lee, into international superstars. Cushing would go on to appear in five more Hammer works as Dr. Frankenstein while Lee would portray Dracula on six more occasions for the studio. But whereas Cushing immediately leaped back into the fray with 1958's The Revenge of Frankenstein, Lee, more wary of typecasting, would wait eight years before again wrapping himself in the Count's cape. Dracula: Prince of Darkness is the first of the belated sequels starring Lee (Hammer did release The Brides of Dracula in 1960, but while Cushing was back as Van Helsing, Lee was nowhere to be found), and while it's no classic like the 1958 original, it's an effective bit of Hammer horror, boasting the expected atmospherics, period trappings, literary conceits and, yes, buxom beauties. 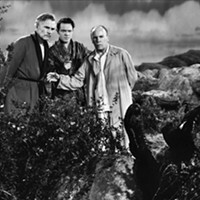 Lee's bloodsucking fiend doesn't even show up until the midway mark; first, we watch as four English travelers (Hammer favorite Barbara Shelley, plus Francis Matthews, Suzan Farmer and Charles Tingwell), opting to vacation in the Carpathian Mountains, ignore the warnings of a local priest, the earthy Father Sandor (Andrew Keir), and take shelter in an ominous castle whose only (living) occupant is a butler (Philip Latham) who remains devoted to his deceased master. The deliberate pacing might irk some, but it actually provides a nice buildup to the Count's first appearance, a resurrection scene that features some nifty effects. Keir offers stature as the Van Helsing surrogate, Thorley Walters is suitably unhinged as a Renfield-like patient, and the climactic sequence steers clear of stakes and sunlight in order to provide a unique wrap-up. Blu-ray extras include audio commentary by Lee, Shelley, Matthews and Farmer; a retrospective making-of piece; the World of Hammer episode "Hammer Stars: Christopher Lee"; a restoration comparison; and a stills gallery. Also included are five collectible cards. 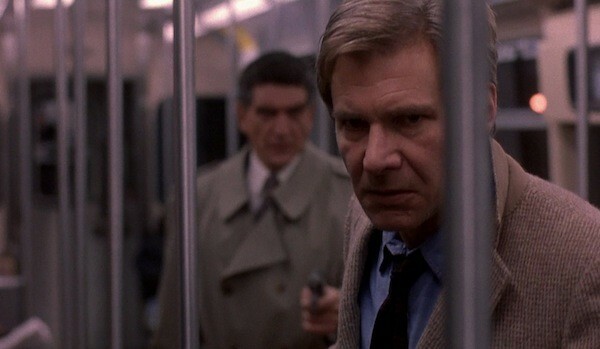 THE FUGITIVE (1993). Movies based on prime-time television series tend to be sorry excuses for cinematic enshrinement (The Dukes of Hazzard, The Beverly Hillbillies, The Honeymooners, etc. ), but The Fugitive remains one of the very best examples of the exception to that rule. Both a critical and commercial smash when it hit theaters 20 years ago, this adaptation of the classic TV show (1963-1967) stars Harrison Ford as Richard Kimble, a Chicago doctor whose wife (Sela Ward) is murdered by a one-armed man for unknown reasons. With no evidence, though, the police finger Kimble as the killer, and he's quickly arrested, tried and sentenced to death. But after a spectacular train-and-bus collision sets him free, he searches for the murderer himself, pursued every step of the way by US Marshall Sam Gerard (Tommy Lee Jones), who cares far more about catching his man rather than wondering whether said man is guilty or innocent. Directed for maximum impact by Andrew Davis from a sharp script by Jeb Stuart and David Twohy, this contains enough suspenseful set-pieces, clever red herrings and spectacular stuntwork to satisfy most thriller aficionados, yet what really makes the movie work are the performances by the two leads. Ford is believable as the tormented hero — indeed, a key ingredient to the film's success is how firmly he commands audience sympathy — while Jones is out-and-out terrific as the arrogant, never-say-quit lawman. Nominated for seven Academy Awards (including Best Picture), this earned Jones the Best Supporting Actor Oscar. Blu-ray extras include audio commentary by Davis and Jones; an introduction by Davis and Ford; a pair of making-of featurettes; a breakdown of the train wreck sequence; the pilot episode of the 2000 TV series The Fugitive, starring Tim Daly (far more preferable would have been an episode from the original '60s series starring David Janssen); and the theatrical trailer. STAR TREK INTO DARKNESS (2013). One of the theatrical posters for Star Trek Into Darkness depicted a damaged Enterprise free-falling toward the planet below it, but any worries that director J.J. Abrams' series reboot would experience a similar tumble with this second installment were immediately laid to rest. 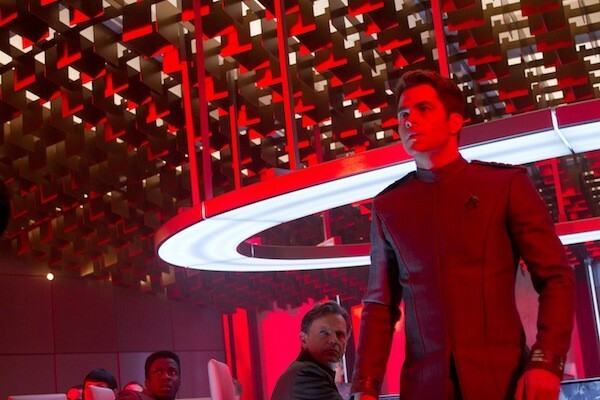 What Abrams and his writers (Roberto Orci and Alex Kurtzman on the first picture, Orci, Kurtzman and Damon Lindelof on this one) are accomplishing with Gene Roddenberry's brainchild mirrors a tightrope act performed with exquisite delicacy and balance. They've managed to embrace the Star Trek canon while also expanding it, expertly weaving together elements that will appease the Trekkie faithful while also making the property more friendly toward the uninitiated (the latter point an occasional problem with the 10 original-series and Next Generation flicks). Having introduced an alternate-timeline scenario in the previous picture, Abrams and company charge full steam ahead, opening with an Indiana Jones-like sequence that will inform many of the scenarios unfolding throughout the film. Chief among them is the tension between James Kirk (Chris Pine), who hasn't met a Starfleet regulation he can't break, and Spock (Zachary Quinto), whose adherence to the rules taxes not only Kirk but also Uhura (Zoe Saldana), who's learning that it's not always easy dating a Vulcan. But personal issues take a back seat once a terrorist attack decimates a London building; the culprit is one John Harrison (Benedict Cumberbatch), and the Enterprise crew is ordered to follow him into the heart of darkness — his hideout deep in the Klingon zone — and terminate him with extreme prejudice. From here, the story takes some interesting turns; it also lends an enormous amount of complexity to Harrison, allows the returning cast members individual moments to shine (although I wished Dr. McCoy, perfectly played by Karl Urban, was as integral to these films as he was to the series) and reworks elements from one of the classic Trek films in a highly imaginative manner. Blu-ray extras include various making-of featurettes, including a look at the character of Khan, the filming of the space jump sequence, and the recreation of the Klingon home planet. 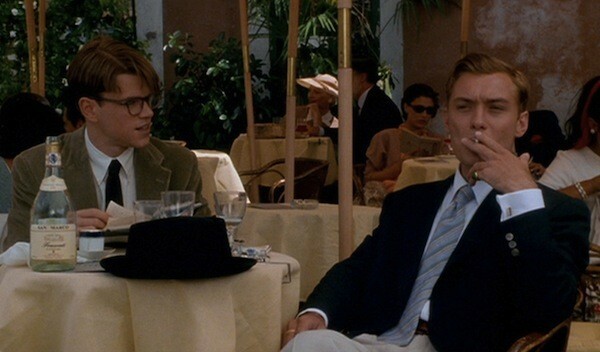 THE TALENTED MR. RIPLEY (1999). The late writer-director Anthony Minghella's follow-up to his Oscar-winning masterpiece The English Patient, The Talented Mr. Ripley was also a "10 Best"-worthy achievement, thanks to Minghella's acute interpretation of Patricia Highsmith's novel, a shooting style that wallows in decadence and danger, and a choice cast completely in sync with the stringent demands of the story. Filmed before in 1960 as France's Purple Noon, this newer version tells the story of Tom Ripley (Matt Damon), a kid of lower standing who, through unusual circumstances, finds himself hanging out in Italy with a wealthy American slacker (Jude Law) and the latter's big-hearted girlfriend (Gwyneth Paltrow). The ever resourceful Tom enjoys la dolce vita to such a great extent that when it looks like the good times will finally end, he masterminds a convoluted plot that he hopes will place him permanently on top. Squeezing out any potential pulp, this intoxicating picture offers the usual genre thrills while also addressing the manner in which a person will subjugate his or her own identity in a misguided effort to gain acceptance and approval from others. Law, Paltrow and Cate Blanchett offer solid support, while two of the period's most phenomenal character actors, Philip Seymour Hoffman and Philip Baker Hall, contribute sizzling moments in their brief roles as, respectively, a boorish American expatriate and a no-nonsense investigator. Still, it's Damon's electrifying and truly bold performance that sparks the proceedings. The Talented Mr. Ridley earned five Oscar nominations, including Best Supporting Actor for Law and Best Adapted Screenplay for Minghella, but it's scandalous that Damon was overlooked. Blu-ray extras include audio commentary by Minghella; a making-of featurette; a piece on the film's music; and the theatrical trailers.